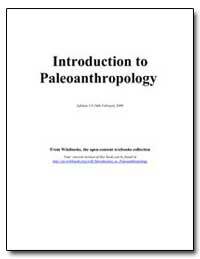 Excerpt: What Is Anthropology? The study of anthropology falls into four main fields: // 1. Socio-cultural anthropology // 2. Linguistics // 3. Archaeology // 4. Physical anthropology // Although these disciplines are separate, they share common goals. All forms of anthropology focus on the following: // ? Diversity of human cultures observed in past and present. // ? Many scientific disciplines involved in study of human cultures. // ? Examples include: Psychology, biology, history, geography among others. // ? Anthropology holds a very central position in the world of science. // ? There is a long academic tradition in modern anthropology which is divided into four fields, as defined by Franz Boas (1858-1942), who is generally considered the father of the field.